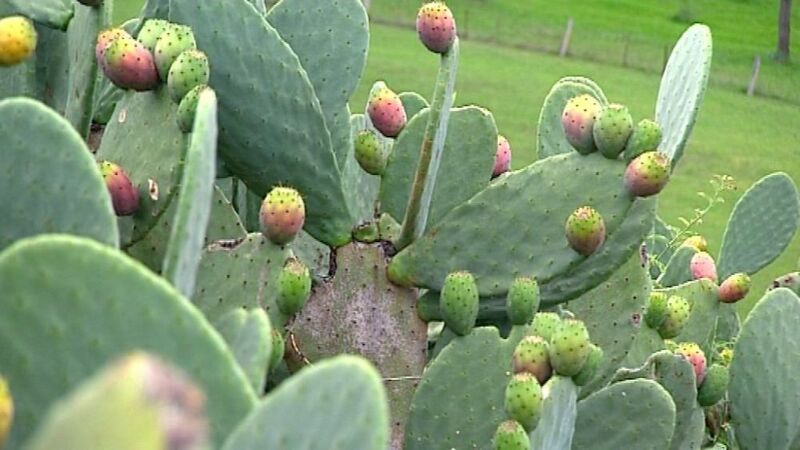 Upon the Farm and set in rows is a fortress of Prickly Pear Trees. These spiky hardy desert like plants produce fruit from the pad of the tree once a year to the pleasure of those daring enough to pick them. Even the skin of the fruit has fine needle like spikes, so delicate that if your standing near enough to one of them and a gush of wind comes along then you will more than likely be scratching and itching all the way home until the next day at least. You won’t see them fly and stick into you but you sure as will feel them! These fruit tree’s are maintained by us regulary to prevent them from growing out of control. 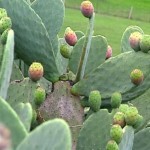 If not trimmed yearly then the humble prickly pear grows to become an inpenetrable fortress. (The best natural security you could ask for) In drought like conditIons the pad (leaf) of the tree has a tuff leathery skin with a sponge like cellular structure that holds large amounts of water within them. (making them excellent desert plants). Now, as I was saying earlier the tree bares fruit from early January to end of February and that’s it. There are three main colours, a deep purple red, bright orange and white. 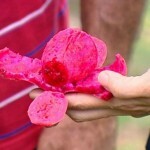 The flesh of the fruit is very seedy just like a passionfruit and are small and must be eaten. 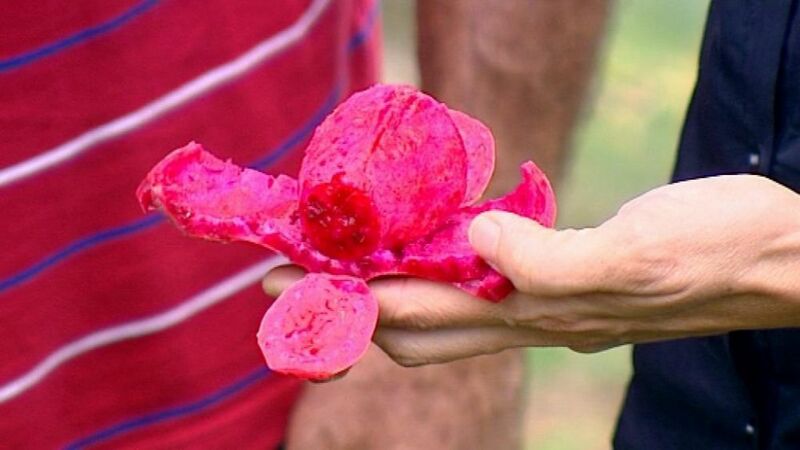 Flavour of the prickly pear fruit is in my view similar to watermelon and pear (an acquired taste but loved mostly by meditereanean cultures) and best served cold. An experience I suggest worth trying! Ripe and Ready to Eat Fruit. Just need someone to pick them… Anyone?